Erm.... Where do I start with this one? ... So... My next "STRMOMC" is a rarity from Austria which never actually made it in to the UK charts. It was released in 1992 but I didn't get to hear it until early 1995 during a Star Trek documentary on MTV to coincide with the then imminent release of the movie Star Trek Generations. Yes 1995, which means it only barely passes as a song from my childhood (I had only just turned 18) but since the song originally came out in 1992 I thought I would include it here. 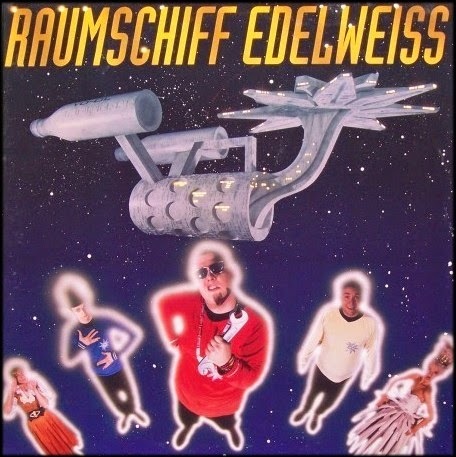 The song in question is... Raumschiff Edelweiss (or in English, Starship Edelweiss). Edeweiss were a popular eurodance/pop group in Europe during the late 80's and early 90s. 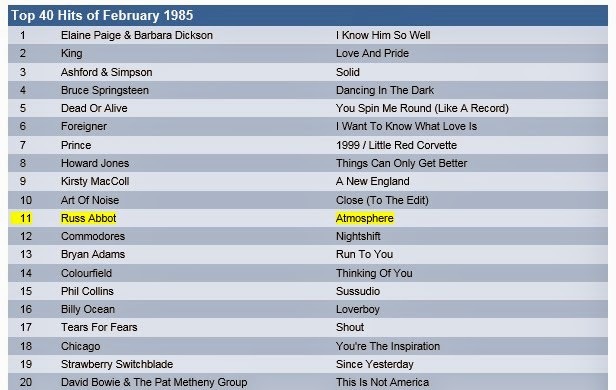 I don't suppose many readers of my blog will know who they were and you might be surprised to hear that their hit song Bring Me Edelweiss actually reached number 5 in the UK charts in May, 1989). 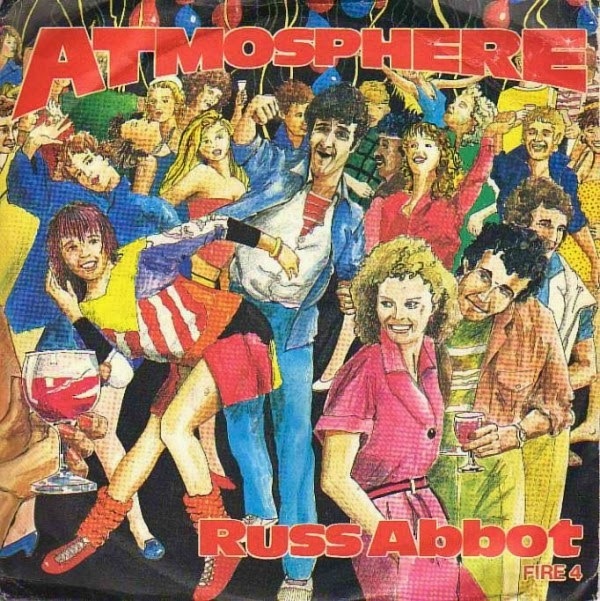 Now, I'm no expert on the group, and as far as I can tell they only ever released one album - but what an album! Raumschiff Edelweiss is a Star Trek inspired spoof song (which in my opinion is miles better than The Firm's Star Trekkin') and features the original Star Trek theme, mixed with a dance track and some whacky visuals and a video that could only have been made with the use of some drugs and high levels of alchohol consumption. Have a listen, and give it a chance.... It's not all that bad! AND if you liked that... The song had a follow up - called Planet Edelweiss (featured below) which I swear sounds like something that could have been 'tracked' on a Commodore Amiga! That’s a good thing by the way. Yes they're cheesy, but I'm proud to admit I actually have this album in my music collection, and it always makes me smile. It's also the only place you will ever get to see a Klingon rapping and singing reggae!